AlphaDogs Post Production was tapped to complete all post production on Bravo's docuseries Pregnant in Heels, about a high-end maternity service catering to some unusual requests. When faced with the challenge of the green screen casting color on the lead character's blond hair, AlphaDogs turned to Boris Continuum Complete to clean up many of the composites. Read the full story here. I have in the past been critical of QuickTime as the standard for professional review of digital video; nonetheless, that is its status, and since you and I will be posting QuickTime movies for peers, clients and potential employers to view for the foreseeable future, we might as well get them right. 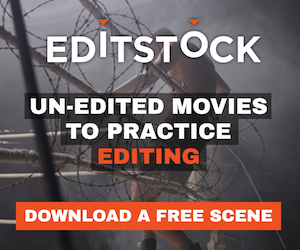 The Edit Foundry is a new blog that looks into editing techniques. Submitted by Paul L., here's a poster that sums up compression. This blog covers many aspects of film editing from technology, to technique.